Thomas Drew was born in Ballingary, Ireland in April of 1848. He married Margaret O'Brien also born in Ballingary in June of 1855. They married in Chicago on 13 October 1873. Thomas died 9 April 1917 and Margaret on 27 July 1919. The are buried in Mount Carmel Cemetery in Hillside, Illinois. For further details, contact the Chicago Genealogical Society. 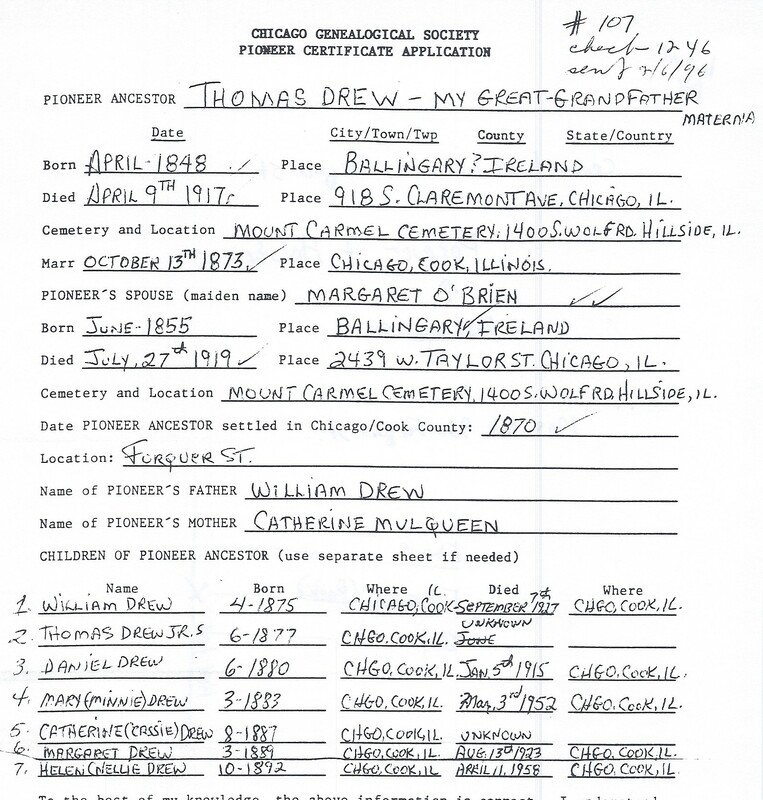 Thomas Drew is Pioneer Ancestor number 107.